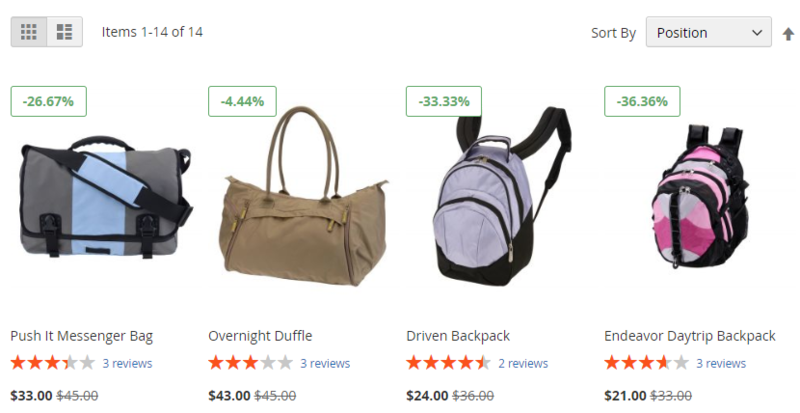 Using discounts for items at certain times is a smart way to attract customers to purchase. 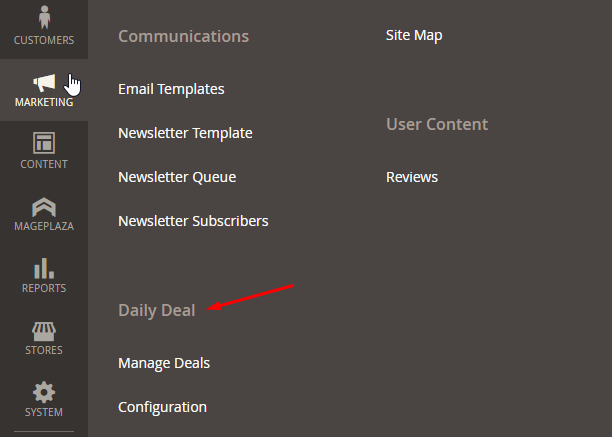 Mageplaza Daily Deal extension will make it easy for shop owners to set a discount for each product. 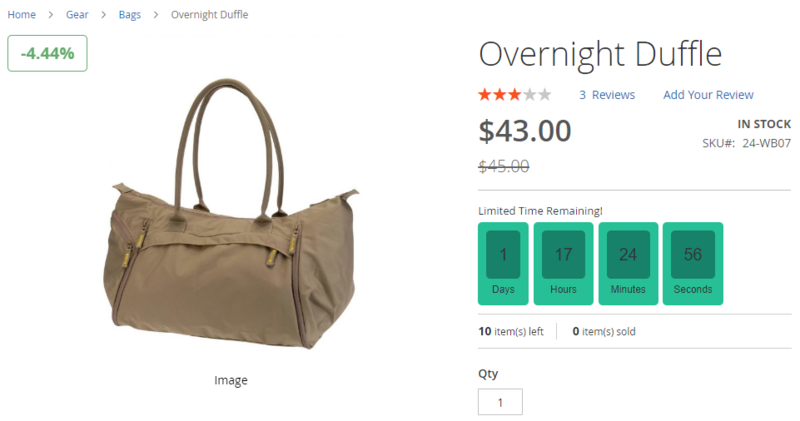 Each product will be set to display the discounted price, time left, item left, along with the status Upcoming/Running/Ended of the deal. 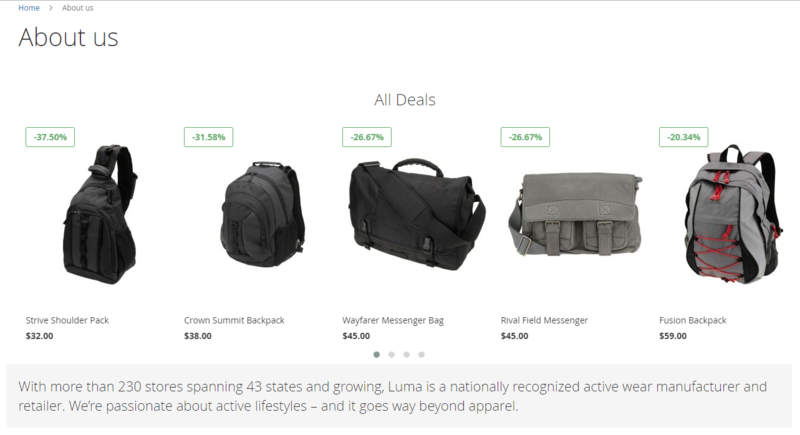 In addition, Daily Deal has many outstanding features such as slider, flexible design, etc that support store owners to promote products, thereby stimulating the customer’s purchases and increase sales for stores significantly. 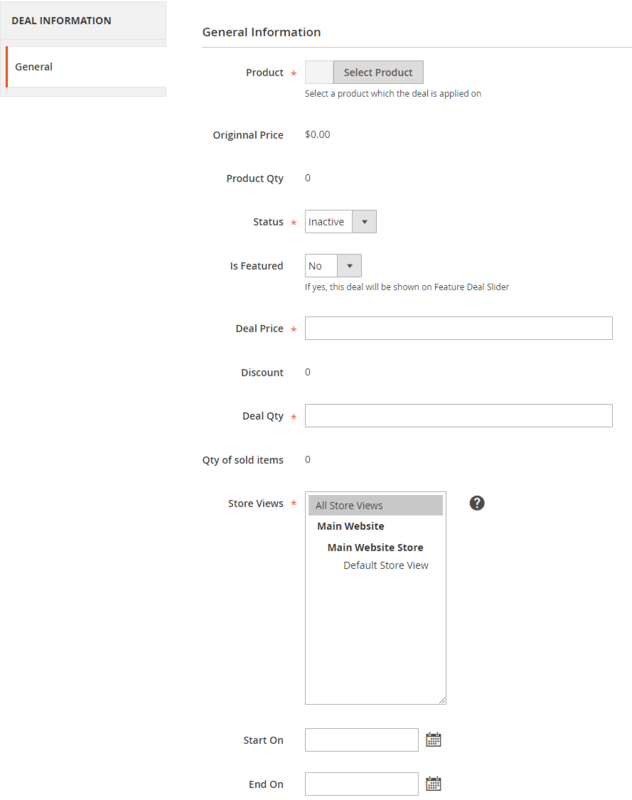 The original price of the product will be automatically updated when the product is selected. 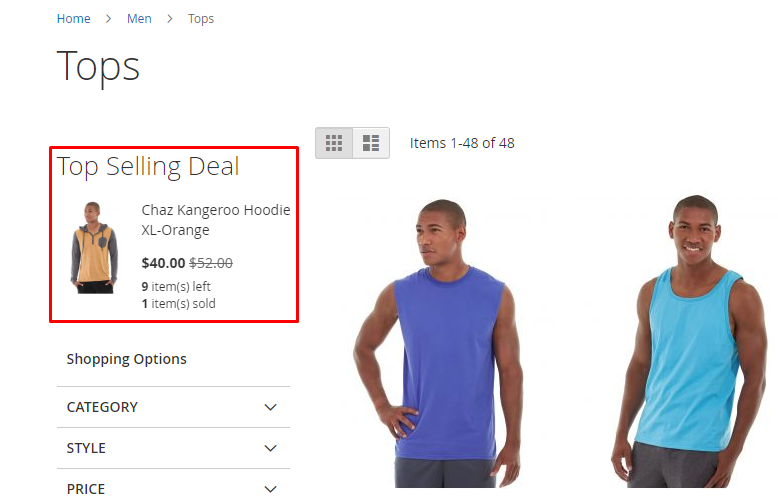 This price is displayed based on Catalog > Product. 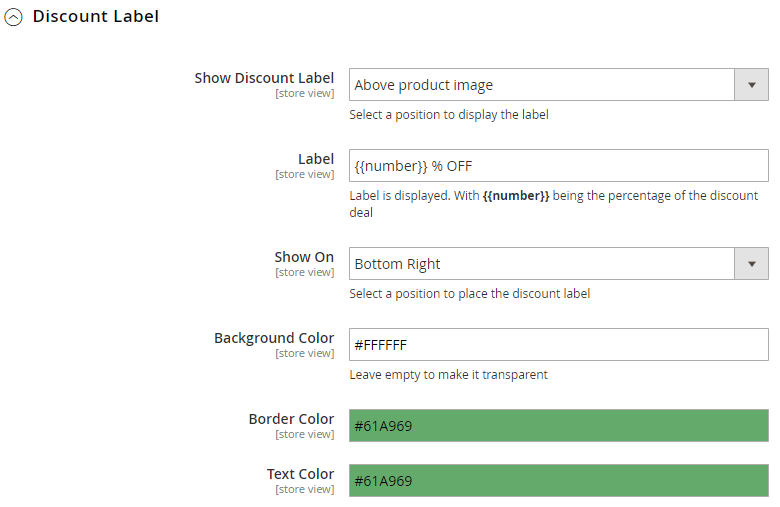 This number is displayed based on Catalog > Product. This item will be automatically updated based on Original Price and Deal Price. 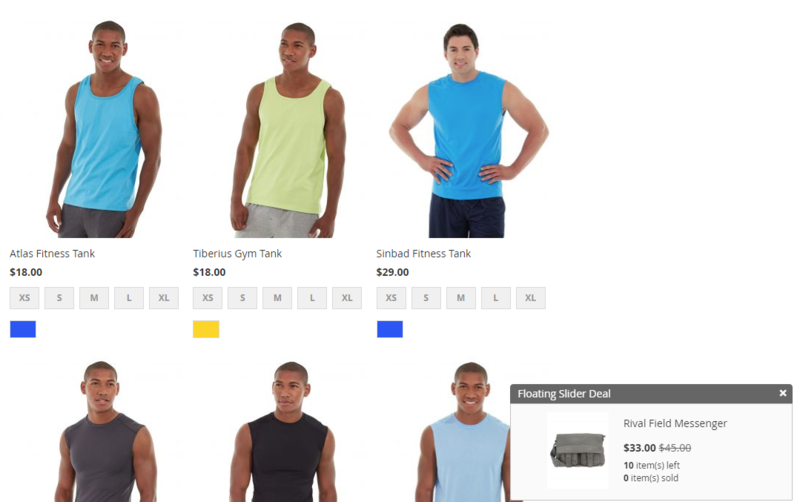 Store View: A website can have multiple Store Views. The category is only visible with selected Store Views. 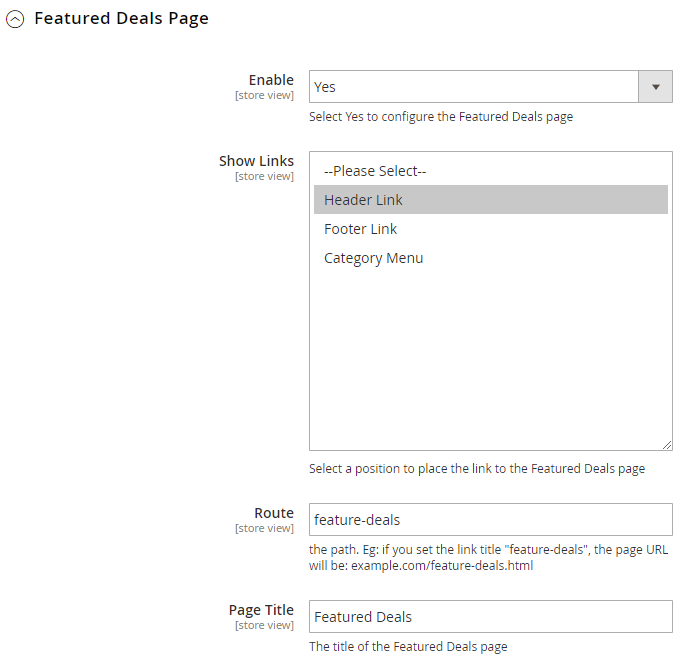 The deal of the Configurable Product displayed on Category Page is the highest deal in the products component. 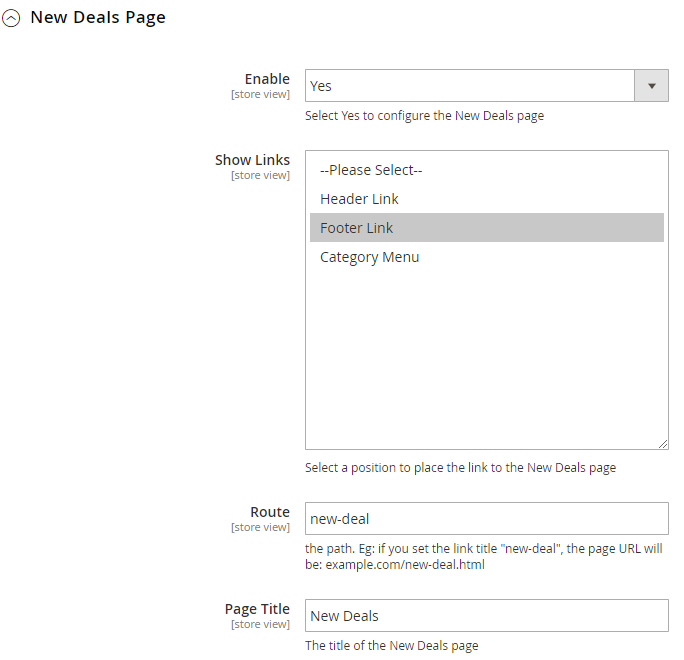 When choosing options color/siz/format, the deal will change itself according to the selected option. 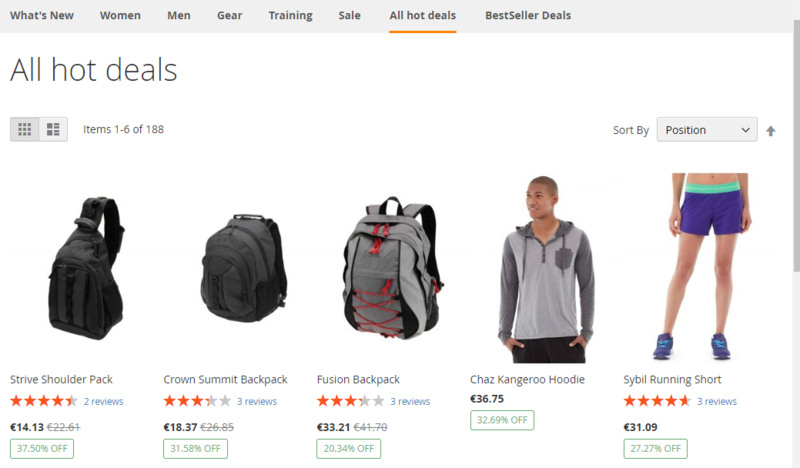 Group Product’s deal is not displayed on Category Page, it only displays Deal Price at Product Detail Page. 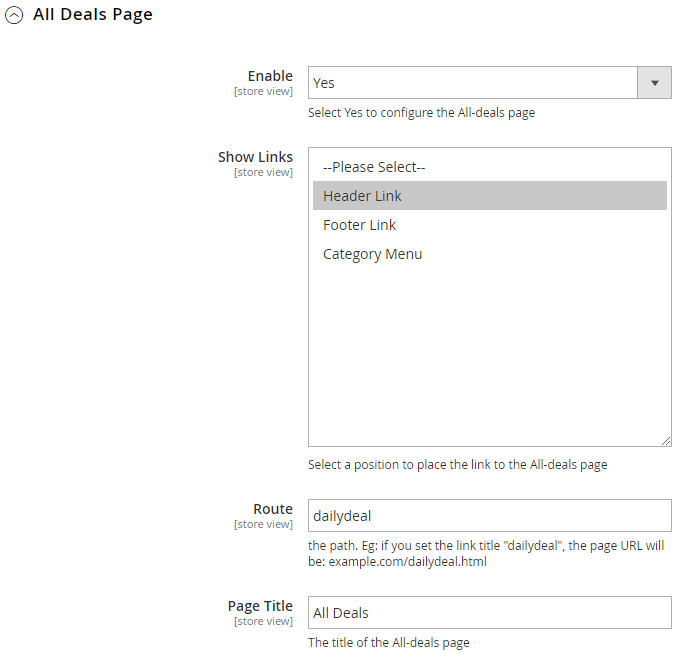 Select Yes to display the All Deals Page on the Frontend. 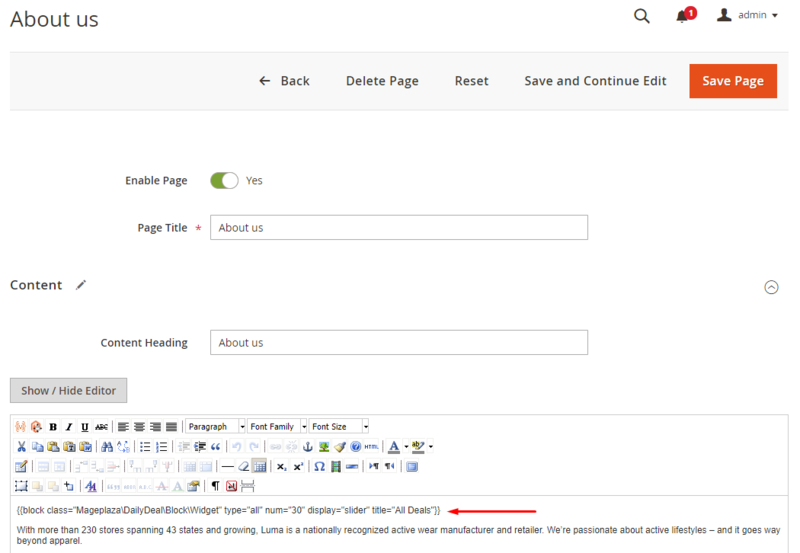 Setting the URL for the page. 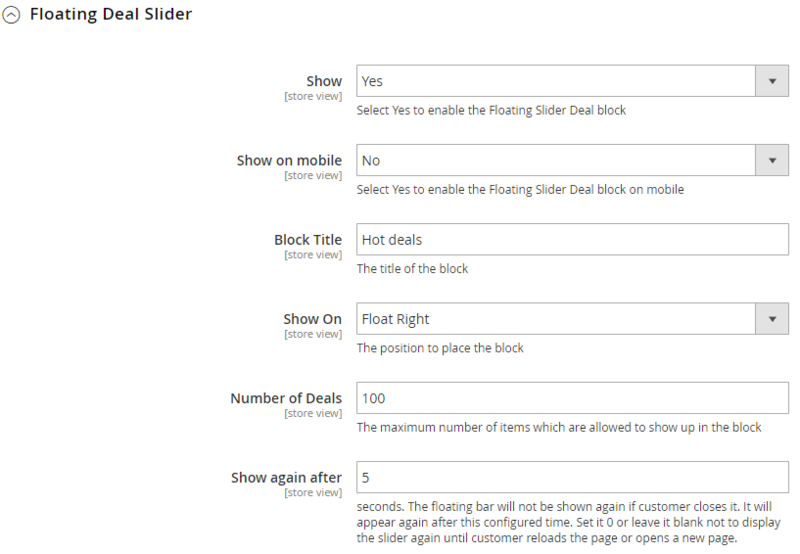 Show on mobile: Choose NO to disable Floating Slider Deal when it’s on the mobile mode. When the floating bar is closed, it will automatically reappear after this time. 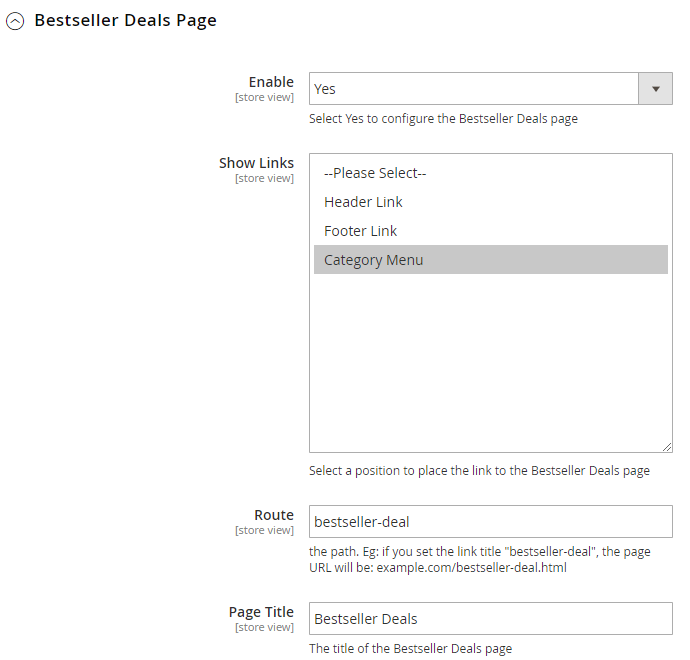 Daily Deal is displayed according to one or six types as the following: all, feature, new, upcoming, bestseller, random. If deleting typing in the command, it will be got the error.